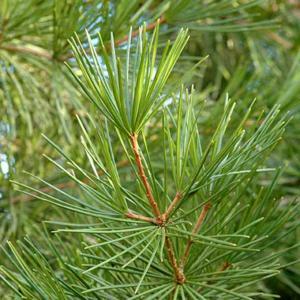 Slow growing medium to large tree of pyramidal habit. Needle-like leaves arranged in distinct whorls. 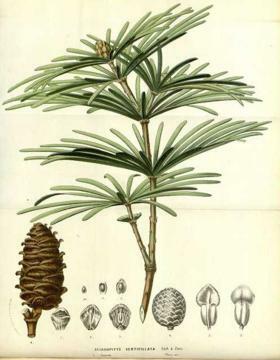 Mature trees may produces cones up to 10cm long with thick scales. Orangey brown peeling bark. Moist, fertile, lime-free soil in a sunny position. Thrives best in areas with high humidity and warm summers. Very hardy but aviod locations with cold winter winds. Very ancient species, known from fossils up to 230 million years old. It appears possible that either this species or now extinct close relatives where the main source of resin that became fossilized as Baltic amber.